Did you purchase the My Brilliant Writing Year Planner? At checkout, use your exclusive coupon code you received with your planner to get this course for free! I remember when I first started writing. I had no idea where to start, what kind of stories I wanted to write, or even HOW to get that story on the page. I just knew I wanted to write. The desire to get a story on the page burned inside me. Hi. I'm Susan May Warren. I started writing while I lived in Siberia (yes, you heard that right--cold, snowy, Siberia). Alone. No one to help me, overwhelmed and not a little discouraged. Fifteen years later, I've published over 60 books in five different genres, have landed on numerous bestseller lists (including USA Today bestselling), won the RITA, CHRISTY and CAROL awards (and others) and stared a school for novelists. And I learned...the writing journey is better when you network. When you know you're not alone. Every week we have a Peptalk for writers--something to encourage them, give them the skills they need, keep them on top of the industry and build brilliant careers. We network, get feedback and build our skills. This is the foundation of Novel.Academy. Learning. Editing. Growing...Getting published and Staying published. I'd love to help you build YOUR brilliant career. You're off to a great start by picking up Your Brilliant Writing Planner. Now...let's create that fabulous year! Classes on strategy, skills and inspiration! In this interactive workshop, Susie May will walk you through the process of creating a strategy for a productive and profitable 2019. Your Brilliant Year Action Plan! Just Starting? Do you want to write a book? Maybe you have no idea where to begin? Use this Quick Start guide to help you understand the process. 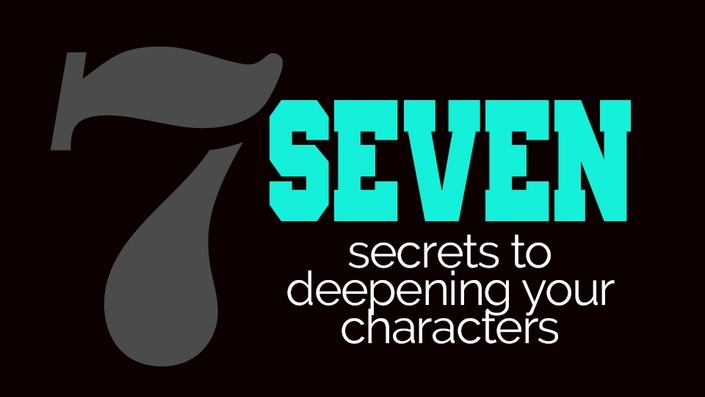 And, just because we can't resist helping you with your writing...7 Secrets to Deepening your Characters. Your brilliant year starts now. You can have a Brilliant writing year and ignite that Brilliant career. Your Story Matters! Let's do this!